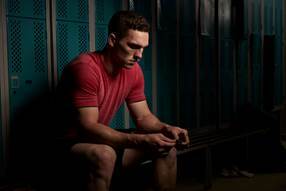 Gillette has launched ‘The Honest Player,’ a short film featuring George North along with historic moments from previous Lions Tours. 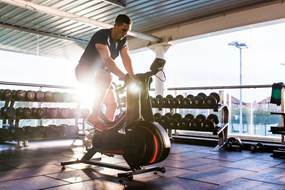 The film celebrates Gillette’s partnership with the British & Irish Lions highlighting the importance of preparation and precision for men to be their best – a common value shared by both Gillette and the Lions. The emotive film, with voiceover taken from the original Jim Telfer speech, focuses on the preparation and commitment that George has to his craft to be the very best he can be. The attention to detail, the endless hours on the training pitch, the runs, gym sessions and building a mindset to succeed with moments of reflection; all these things play a critical part in the preparation off pitch to delivering the precision on it. The film features the Gillette Fusion range – with five high-performance blades on the front for a close, comfortable shave, and a precision trimmer on the back to help guys shape their own style. It takes a relentless determination and character to be a Lion and Gillette will be helping to prepare the team in order for them to deliver at the precise moment, in what is set to become the biggest sporting event of 2017; a tour consisting of 10 games played throughout New Zealand between June 3 and July 8, including three Test matches against the double World Champions. Gillette will bring the partnership to life in all major retailers across the UK through a competition offering consumers the chance to win the ultimate trip to New Zealand to watch the Lions. Gillette has been helping men be the best they can be for over 100 years, constantly innovating to deliver both performance and precision within its product offering. The British & Irish Lions have a proud heritage of bringing together the best of the best from across four nations. 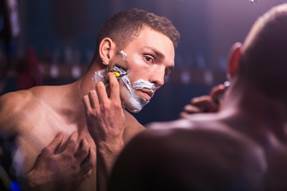 For additional information on Gillette, as well as information on Gillette’s full lineup, including the latest shaving innovation, Gillette Fusion ProShield, please visit: www.gillette.co.uk. P&G serves consumers around the world with one of the strongest portfolios of trusted, quality, leadership brands, including Always®, Ambi Pur®, Ariel®, Fairy®, Febreze®, Gillette®, Head & Shoulders®, Lenor®, Olay®, Oral-B®, Pampers®, Pantene®, SK-II® and Vicks®. The P&G community includes operations in approximately 70 countries worldwide. Please visit http://www.pg.com/en_UK for the latest news and information about P&G and its brands. The British & Irish Lions first toured in 1888 and has become established as the world's best loved touring team. The Lions tour one of the Southern Hemisphere rugby nations every four years, visiting South Africa, New Zealand or Australia once every 12 years. The Lions Tour of New Zealand in 2017 will consist of 10 games played throughout the country between June 3 and July 8, including three Test matches against the double World Champions.